Oceanfront condo 3 bedrooms, 2 baths, ceramic tile throughout, deck, corian countertops, fully equipped kitchen, washer and dryer. Nightly, weekly, monthly and longterm renals available. 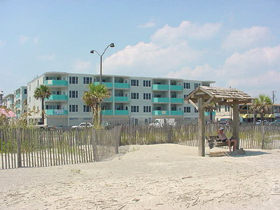 Oceanfront condominium steps away from the pier and pavilion, Tybee Island Marine Science Center, shopping, restaurants and nightlife. This 3 bedroom, 2 bath condo with fully stocked kitchen, washer and dryer. 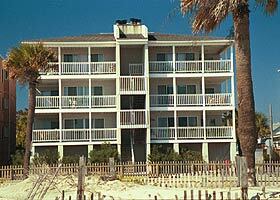 Wonderful wrap around porch where you will not miss any of the action on the beach.